These bright easy to read Home Security Signs and Alarm Stickers help protect your home or business. 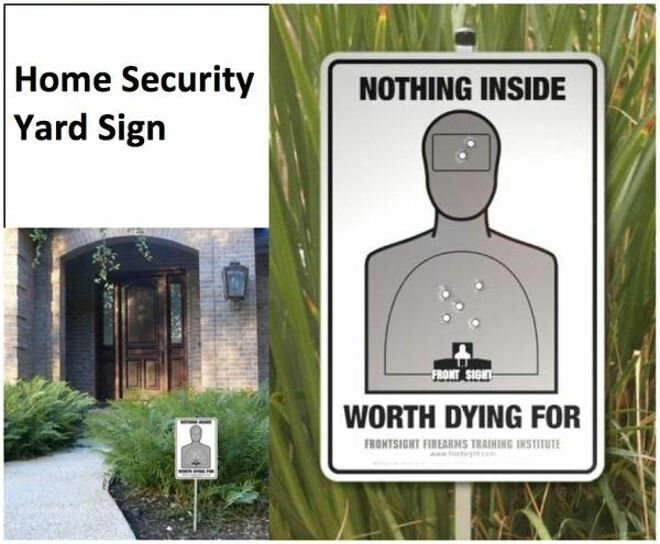 - The Home Security Signs are available with or without aluminum stakes. I gotta get three of these ! !